A diverse group of professional members of ISABS with exemplary experience in Academics and/practitioner roles in varied organisations form the Academic and Programme Council (APC) of ODCP. They take the lead in designing, continually upgrading the quality and delivery of the programme. They also form the core group for facilitating the various contact modules while also collaborating with invited faculty. The faculty is invited from ISABS professional members and our professional network in India and abroad in teaching and external assessment roles. Sankar (as he likes to be addressed as) has acquired over 28 years of professional experience. He did his post-graduate in Human Resources Management from the Tata Institute of Social Sciences, a B-School considered as a flag bearer in Organisation Behaviour and Human Resources areas. 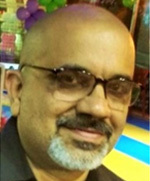 He received professional training in Applied Behavioural Science from and was accredited as a professional member of the Indian Society for Applied Behavioural Science (www.isabs.org). 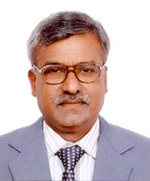 Sankar is a past President of the institution. Sankar is also a professional member of the National Training Laboratories, Bethel, Maine, USA.(www.ntl.org). 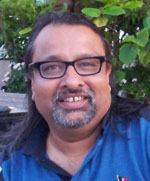 Sankar is also the founder President of TAPIN – The Appreciative Inquirers Network in India (www.tapin.in). Sankar has more than 20 years of Human Resources and top management level corporate experience in both India and abroad. 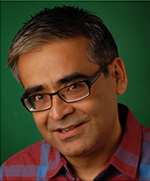 He has worked in large Indian and multinational organizations across India, USA and the Caribbean. As a Consultant, he has engaged with many Indian organizations, International NGO’s and Multinational Corporations. His assignments have made him travel the entire globe to more than 29 countries in Asia, Africa and Europe. For over ten years now, as one of the founding Directors, he is engaged in shaping ChangeWorks, a human service organisation, based out of Mumbai, India and operating globally. Radha as he is called by friends has more than four decades of professional experience. He did his post graduation in Management from Madras School of Social work. He has a degree in Law and a post graduation in Psychology. He is a Professional member of ISABS and held roles in the ISABS Board including Dean/Professional Development Programme. Radha has worked for twenty six years in Managerial, Administrative, Operational, Commercial and Legal functions of Indian Railways. As HR & Organisation Development consultant he engages with Public sector, Private sector , NGOs and MNCs He coaches Senior leadership in organisations and mentors aspiring professionals in ODCP and ISABS(PDP).He is also visiting Faculty at leading Management institutions. Atul is a Human Resources professional with over 27 years of rich experience. He is the National President of ISABS. Atul is a subject matter expert in Human Process facilitation and combines it with in-depth understanding of HR conceptual knowledge, HR & OD processes and tools. Atul was the HR Head for Rolls Royce South Asia & Middle East in his last corporate assignment. He has diverse experience in leadership roles at companies like GE Money, GECIS, NOKIA, Thermax and Eureka Forbes. Atul brings in expertise in areas like Leadership development, HR Process Reengineering, Performance management, Employee Engagement, Human Behavioral training. He is a Certified Personal Counselor and Grid Instructor well versed in synergogy methodology. He has led several assessments for Senior leadership across Asia, Middle East and Europe. Atul partners with his clients to lead with purpose and participation. 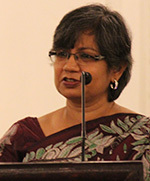 Payal is currently Director & CEO, Celebratory Network. She is involved in work that includes Systemic Change, Leadership Development and Diversity and inclusion. Payal work with CXOs, Founders, Board of directors and Women Leaders; to help them prepare to be future-ready to lead change. She believes that using Self as an instrument of change is the key to facilitate any change process. 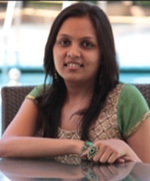 She has worked with organizations like Bank of America, Tata group companies, Glenmark, Capgemini and more.. Payal, is a certified Coach, OD Consultant, has a MA in English Literature, and MBA in HR. Sanjay earned his post graduate in management from IIM, Bangalore and an engineering degree from IIT, Kharagpur. Sanjay spent 15 years in business leadership roles in Profit Center Management, Global Account Management, Strategy and Operations Consulting, and Supply Chain Management. P&G, Wipro, Andersen Consulting. 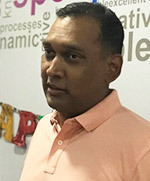 AT Kearney, Infosys were formative years of his own leadership development. He has recently co-found India’s first startup school – CommenceMint – a venture and founder development organization for very early stage start-ups. Sanjay came to ISABS in 2005 in search for personal meaning and stayed on to be accredited eventually in 2012, as a Professional Member and facilitator for human processes.. Sanjay integrates his business leadership experience with understanding of human behavior to chart and guide pragmatic change journeys. He is certified to use various methodologies and instruments including Hogan Assessments, FIRO-B, Existential Universe Mapper and Workplace Big 5. He has an EQ Certification from Six Seconds USA and is certified in Clear Leadership® model. Sanjay is a certified Associate Coach from Erikcson International College. Assisting individuals, groups and systems through challenging personal and professional crucibles is something that keeps Mukul ticking. Mukul has donned many hats in the area of applied behavioral sciences, in the field of academics (6 years + 4 years of research) and the corporate world. His experience ranges from teaching, Applied Psychology in Mithibai College, Mumbai and OD/ Learning and Development in MBA institutions to being an independent practitioner as a counselor, coach, a process consultant and now as an OD consultant. Mukul’s corporate journey includes stints at EMC2, GVK, Gammon India and Infosys Technologies Limited. Mukul enjoys working in the fields of leadership and talent development, Organization Effectiveness, competency development, process mapping-improvement to enhance individual as well as team effectiveness, employee engagement and customer satisfaction. Mukul has successfully worked with large systems through their transition journey – right from the stage of inception of transition to the last mile of the transition journey. Professional Member of ISABS (Indian Society for Applied Behvaioural Science) since 2006, Mukul holds PhD in Applied Psychology and is a Certified Coach and Assessor for Business Excellence (CII), Culture Transformation Tools (Barrett Values), FIRO-B and Hogan user. 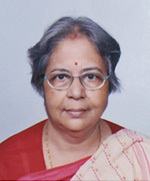 Dr Kakoli Saha is a PhD from University of Delhi. 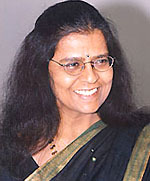 She has over 37 year of professional experience across several domains including Corporates and Academia. She is a professional member of ISABS, NTL (USA) and International Coaching Federation. Kakoli is a panel member of Institute of Banking and Personnel Selection which is responsible for promotion process of PSU Banks. Jahnavi has over 22 years of professional experience in the areas of Business Strategy, Human Resources and Organization Effectiveness. 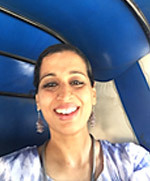 Currently she is the co-founder of a boutique talent management and people engagement firm based in Bangalore, India. She holds a Master’s degree in Commerce and an MBA in Human Resources. Additionally, she is a PCC credentialed coach from the International Coach Federation and an OD Practitioner. During her tenure in the corporate sector, she has been integral in leading 3 global mergers and 2 divestment opportunities in the engineering and manufacturing segment. She was also instrumental in setting up community and diversity chapters amongst the millennial workforce across several states in India. Her philosophy of ‘fostering collective intelligence through individual brilliance’ continues to dictate her work practices and her long-term vision to build self-empowered people across the diaspora. She dabbles in writing poetry and short-stories in the genre of satire for a few local publications. In her current role she works with a large client base from the fortune 500 companies in areas of Workforce Planning, Organization Development, Organization Effectiveness, Culture and Executive Coaching.